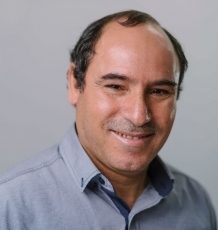 Dr Benattayallah has over 20 years of experience in Medical physics. He graduated with an MSc in Medical Physics from Surrey University in 1998 and a PhD in Medical Physics from the University of Nottingham, in 2002. After two years at the Philips Hospital, Marburg Germany, he joined Exeter University, UK in 2004 where he continues to apply MRI and other techniques to biomedical and clinical problems. He is a Chartered Scientists, a Member of both ISMRM and IPEM and a Fellow of the Higher Education Academy. He has a long practical experience as a Medical physicist, and his work includes the development of a number of medical devices (RF coils) to help improve the MR Image quality. He is involved in a huge number of research projects and his research focuses on fMRI and the mathematical modelling of high-resolution MRI data. He is currently engaged with a variety of projects, which focus on a diverse range of questions. The main current focus of his research is functional Magnetic Resonance Imaging (fMRI) where a variety of fMRI methods have been employed, including block-design and event-related studies with carefully controlled visual stimuli. He has published over 20 research papers in several leading academic peer reviewed journals. He has also presented numerous papers at professional conferences worldwide. 1998 - MSc, University of Surrey. 2002 - PhD, University of Nottingham. 2015 - Fellow of the Higher Education Academy (FHEA). 2002–2004: Research Associate, Hospital of Philipps University, Germany. 2004–present: Senior MR Physicist, University of Exeter. Carpenter KL, Wills AJ, Benattayallah A, Milton FN (2016). A comparison of the neural correlates that underlie rule-based and information-integration category learning.". Human Brain Mapping, 3557-3574. Full text. Smith LJ, Anand P, Benattayallah A, Hodgson TL (2015). An fMRI investigation of moral cognition in healthcare decision making. Journal of Neuroscience, Psychology, and Economics, 8(2), 116-133. © 2015 American Psychological Association. This study used fMRI to investigate the neural substrates of moral cognition in health resource allocation decision problems. In particular, it investigated the cognitive and emotional processes that underpin utilitarian approaches to health care rationing such as Quality Adjusted Life Years (QALYs). Participants viewed hypothetical medical and nonmedical resource allocation scenarios which described equal or unequal allocation of resources to different groups. In addition, participants were assigned to 1 of 2 treatments in which they either did or did not receive advanced instructions about the principles of utilitarianism. In all cases, participants were asked to judge the proposed allocations as "fair" or "unfair." More brain activity was observed within the superior parietal lobe, angular gyrus, middle temporal gyrus, and bilateral caudate nucleus when participants viewed scenarios depicting equal divisions of resources. Conversely, unequal resource divisions were associated with more activity in the inferior frontal gyrus and insula cortex. Furthermore, instructions about the principles of utilitarianism led to significant activation differences within the inferior frontal gyrus and the middle frontal gyrus. Significant differences in activity were also found within the inferior frontal cortex and anterior insula between medical and nonmedical scenarios. The implications for cognitive control mechanisms and the cognitive and neural bases of utilitarian ethical judgment are discussed. Norman L, Lawrence N, Iles A, Benattayallah A, Karl A (2015). Attachment-security priming attenuates amygdala activation to social and linguistic threat. Soc Cogn Affect Neurosci, 10(6), 832-839. Attachment-security priming attenuates amygdala activation to social and linguistic threat. A predominant expectation that social relationships with others are safe (a secure attachment style), has been linked with reduced threat-related amygdala activation. Experimental priming of mental representations of attachment security can modulate neural responding, but the effects of attachment-security priming on threat-related amygdala activation remains untested. Using functional magnetic resonance imaging, the present study examined the effects of trait and primed attachment security on amygdala reactivity to threatening stimuli in an emotional faces and a linguistic dot-probe task in 42 healthy participants. Trait attachment anxiety and attachment avoidance were positively correlated with amygdala activation to threatening faces in the control group, but not in the attachment primed group. Furthermore, participants who received attachment-security priming showed attenuated amygdala activation in both the emotional faces and dot-probe tasks. The current findings demonstrate that variation in state and trait attachment security modulates amygdala reactivity to threat. These findings support the potential use of attachment security-boosting methods as interventions and suggest a neural mechanism for the protective effect of social bonds in anxiety disorders. Janse Van Rensburg K, Taylor A, Hodgson T, Benattayallah A (2009). Acute exercise modulates cigarette cravings and brain activation in response to smoking-related images: an fMRI study. Psychopharmacology (Berl), 203(3), 589-598. Acute exercise modulates cigarette cravings and brain activation in response to smoking-related images: an fMRI study. RATIONALE: Substances of misuse (such as nicotine) are associated with increases in activation within the mesocorticolimbic brain system, a system thought to mediate the rewarding effects of drugs of abuse. Pharmacological treatments have been designed to reduce cigarette cravings during temporary abstinence. Exercise has been found to be an effective tool for controlling cigarette cravings. OBJECTIVE: the objective of this study is to assess the effect of exercise on regional brain activation in response to smoking-related images during temporary nicotine abstinence. METHOD: in a randomized crossover design, regular smokers (n = 10) undertook an exercise (10 min moderate-intensity stationary cycling) and control (passive seating for same duration) session, following 15 h of nicotine abstinence. Following treatments, participants entered a functional Magnetic Resonance Imaging (fMRI) scanner. Subjects viewed a random series of smoking and neutral images for 3 s, with an average inter-stimulus-interval (ISI) of 10 s. Self-reported cravings were assessed at baseline, mid-, and post-treatments. RESULTS: a significant interaction effect (time by group) was found, with self-reported cravings lower during and following exercise. During control scanning, significant activation was recorded in areas associated with reward (caudate nucleus), motivation (orbitofrontal cortex) and visuo-spatial attention (parietal lobe, parahippocampal, and fusiform gyrus). Post-exercise scanning showed hypo-activation in these areas with a concomitant shift of activation towards areas identified in the 'brain default mode' (Broadmanns Area 10). CONCLUSION: the study confirms previous evidence that a single session of exercise can reduce cigarette cravings, and for the first time provides evidence of a shift in regional activation in response to smoking cues. Owers-Bradley JR, Fichele S, Bennattayalah A, McGloin CJS, Bowtell RW, Morgan PS, Moody AR (2003). MR tagging of human lungs using hyperpolarized 3He gas. J Magn Reson Imaging, 17(1), 142-146. MR tagging of human lungs using hyperpolarized 3He gas. PURPOSE: to evaluate the use of spin-tagging in conjunction with hyperpolarized gas imaging for monitoring lung ventilation and gas diffusion. METHODS AND MATERIALS: Images were taken at 0.15 T using single shot RARE, with hyperpolarized (3)He gas prepared by the metastability exchange technique. Sinusoidal modulation of the longitudinal magnetization (tag) was produced by two 90-degree rf pulses separated by a gradient pulse. The diffusion of (3)He gas in the lungs was measured by monitoring the decay of the tags. This study was conducted on a 25-year-old, male, healthy volunteer. RESULTS: Clear tags in hyperpolarized (3)He gas both in vivo and in vitro were generated. The relative movement of the lung compared to a static, partial breath-hold was measured following inspiration or expiration. The diffusion coefficient of (3)He in the lungs was found to be 0.02 +/- 0.005 cm(2)seconds(-1). CONCLUSION: the spin-tagging of hyperpolarized (3)He in the lungs is possible, and allows regional lung movements to be measured following inspiration and expiration. It also allows quantification of the diffusion of the (3)He gas. Akrami M, Craig K, DIBAJ M, Javadi A, Benattayallah A (In Press). A three-dimensional finite element analysis of the human hip. Journal of Medical Engineering and Technology Full text. Milton FN, Bealing P, Carpenter KL, Benattayallah A, Wills AJ (2017). The neural correlates of similarity- and rule-based generalization. Journal of Cognitive Neuroscience, 29, 150-166. Full text. Multi-modal representation of effector modality in frontal cortex during rule switching. We report a functional magnetic resonance imaging (fMRI) study which investigated whether brain areas involved in updating task rules within the frontal lobe of the cerebral cortex show activity related to the modality of motor response used in the task. Participants performed a rule switching task using different effector modalities. In some blocks participants responded with left/right button presses, whilst in other blocks left/right saccades were required. The color of a Cue event instructed a left or right response based upon a rule, followed by a Feedback which indicated whether the rule was to stay the same or "Flip" on the next trial. The findings revealed variation in the locus of activity within the ventrolateral frontal cortex dependent upon effector modality. Other frontal areas showed no significant difference in activity between response epochs but changed their pattern of connectivity with posterior cortical areas dependent upon response. Multivariate analysis revealed that the pattern of activity evoked by Flip rule Feedbacks within an apparently supra modal frontal region (dorsolateral frontal cortex) discriminated between response epochs. The results are consistent with the existence of multi-modal representations of stimulus-response (SR) rules within the frontal cerebral cortex. Background: Speech production is one of the most frequently affected cognitive functions following stroke; however, the neural mechanisms underlying the recovery of speech function are still incompletely understood. Aims: the current study aims to address the differential contributions of the dominant and non-dominant hemispheres in recovery from aphasia following stroke by comparing data from four stroke patients and 12 control participants to assess the patterns of activation during speech production tasks during functional magnetic resonance imaging (fMRI) scanning. Methods & Procedures: Four chronic stroke patients (three left-hemisphere lesion and one right-hemisphere lesion) diagnosed with Broca’s aphasia at the acute phase, but now recovered to near normal speech ability, were tested on speech production tasks (phonemic fluency, categorical fluency and picture naming) whilst undergoing fMRI. These patients were compared with 12 healthy controls undergoing the same procedure. Outcomes & Results: Individual subject analysis showed activation peaks in perilesional areas in three out of four patients. This included one patient with right-hemisphere lesion, who also showed predominant perilesional activation. Group analysis of control participants showed predominately left-hemisphere activation, but not exclusively so. Laterality indexes were calculated and showed predominant left-hemisphere lateralisation in the control group (LI = 0.4). Three out of the four patients showed speech lateralised to the same hemisphere as their lesion and the fourth patient showed speech lateralised to the opposite hemisphere to their lesion. Different speech production tasks resulted in varying lateralisation indices (LIs) within participants. Conclusions: the data suggest that perilesional areas support recovery of speech in the chronic phase post-stroke regardless of the site of the lesion. The study has implications for the understanding of functional recovery as well as for the paradigms used in fMRI to localise speech production areas. Specifically, a variety of speech tasks are required to elicit activation that is representative of the range of cortical involvement in speech in healthy adults and that also allows for accurate reporting of the extent of recovery experienced in patients. Milton F, Butler CR, Benattayallah A, Zeman A (2012). An fMRI study of autobiographical memory deficits in transient epileptic amnesia. Journal of Neurology, Neurosurgery and Psychiatry, 83(10). to identify the neural basis of autobiographical memory deficits in transient epileptic amnesia (TEA). 11 people (mean age: 65.91; SD=7.63) diagnosed with transient epileptic amnesia, all of whom complained of extensive autobiographical memory loss, and 17 age and IQ matched controls were recruited. Participants were matched on standard measures of anterograde memory. Participants recalled 32 previously identified autobiographical memories, specific in time and place, from four different time periods (childhood, young adult, middle aged and recent), during fMRI scanning. Activations were analysed using SPM8 software, effective connectivity using dynamic causal modelling (DCM). Post-scan ratings of the subjective vividness, level of detail, pleasantness, personal significance and frequency of retrieval of the memories were recorded. Both patients and controls activated core regions of the autobiographical memory network. However, patients had reduced activation in the right posterior parahippocampal gyrus (pPHG), particularly for more recent memories, together with decreased engagement of the right temporoparietal junction and the right cerebellum. In addition, we found reduced effective connectivity in patients between the right pPHG and the right middle temporal gyrus. There were no differences in the subjective ratings of memories between patients and control participants. the reduction of activity in the right pPHG is consistent with other evidence that TEA is a disorder of the medial temporal lobes (MTL) and further implicates the pPHG as a key region for contextual information. These MTL differences were most marked for recent and mid-life periods suggesting that, at least at the neural level, remote memories are more robust than recent memories. We also found reduced effective connectivity in patients between the right pPHG and the right middle temporal gyrus. This may reflect persisting effects of the seizures, the continued presence of sub-clinical epileptiform activity or the sequelae of subtle structural changes in the MTL in our patient group. Flanagan DE, Fulford J, Krishnan B, Benattayallah A, Watt A, Summers IR (2012). Functional MRI of the hypothalamic response to an oral glucose load. Diabetologia, 55(7), 2080-2082. Author URL. Janse Van Rensburg K, Taylor A, Benattayallah A, Hodgson T (2012). The effects of exercise on cigarette cravings and brain activation in response to smoking-related images. Psychopharmacology (Berl), 221(4), 659-666. The effects of exercise on cigarette cravings and brain activation in response to smoking-related images. Milton FN, Butler CR, Benattayallah A, Zeman, A.Z.J. (2012). The neural basis of autobiographical memory deficits in transient epileptic amnesia. Neuropsychologia, 50(14), 3528-3541. Milton F, Muhlert N, Butler C, Benattayallah A, Zeman A (2011). An fMRI study of long-term everyday memory using SenseCam. Memory, 19(7), 733-744. We investigated whether abnormalities in the structural organization of the corpus callosum in the presence of curvilinear lipoma are associated with increased facilitation of response time to bilateral stimuli, an effect known as the redundancy gain (RG). A patient (A.J.) with a curvilinear lipoma of the corpus callosum, his genetically-identical twin, and age-matched control participants made speeded responses to luminant stimuli. Structural organization of callosal regions was assessed with diffusion-tensor imaging. A.J. was found to have reduced structural integrity in the splenium of the corpus callosum and produced a large RG suggestive of neural summation. Lavric A, Bregadze N, Benattayallah A (2011). Detection of experimental ERP effects in combined EEG-fMRI: evaluating the benefits of interleaved acquisition and independent component analysis. Clin Neurophysiol, 122(2), 267-277. OBJECTIVE: the present study examined the benefit of rapid alternation of EEG and fMRI (a common strategy for avoiding artifact caused by rapid switching of MRI gradients) for detecting experimental modulations of ERPs in combined EEG-fMRI. The study also assessed the advantages of aiding the extraction of specific ERP components by means of signal decomposition using Independent Component Analysis (ICA). METHODS: 'Go-nogo' task stimuli were presented either during fMRI scanning or in the gaps between fMRI scans, resulting in 'gradient' and 'no-gradient' ERPs. 'Go-nogo' differences in the N2 and P3 components were subjected to conventional ERP analysis, as well as single-trial and reliability analyses. RESULTS: Comparable N2 and P3 enhancement on 'nogo' trials was found in the 'gradient' and 'no-gradient' ERPs. ICA-based signal decomposition resulted in better validity (as indicated by topography), greater stability and lower measurement error of the predicted ERP effects. CONCLUSIONS: While there was little or no benefit of acquiring ERPs in the gaps between fMRI scans, ICA decomposition did improve the detection of experimental ERP modulations. SIGNIFICANCE: Simultaneous and continuous EEG-fMRI acquisition is preferable to interleaved protocols. ICA-based decomposition is useful not only for artifact cancellation, but also for the extraction of specific ERP components. Milton F, Muhlert N, Butler CR, Benattayallah A, Zeman AZJ (2011). The neural correlates of everyday recognition memory. Brain and Cognition, 76(3), 369-381. The neural correlates of everyday recognition memory. We used a novel automatic camera, SenseCam, to create a recognition memory test for real-life events. this region is specifically modulated by the degree of recollection. Peacock O, Stokes K, Thompson D, Benattayallah A, Fulfordand J (2010). Cortical Responses to a Carbohydrate-Electrolyte Drink and Water: Effects of an Exercise-Dehydration Model. Medicine & Science in Sports & Exercise, 42(10), 98-99. Cortical Responses to a Carbohydrate-Electrolyte Drink and Water: Effects of an Exercise-Dehydration Model. Flavoured carbohydrate-electrolyte solutions (CES) have been shown to be more effective than water (W) at stimulating voluntary fluid intake during exercise. This has been partly attributed to greater activation of behavioural and reward-based responses in the brain with CES, but direct evidence for such a mechanism is limited. PURPOSE: to use functional magnetic resonance imaging (fMRI) to identify the brain regions activated by CES and W before and after exercise-induced dehydration. METHODS: Sixteen physically active men completed a 30-min fMRI scan and provided psychophysical ratings of the pleasantness of test solutions and perceived thirst, before and after exercise-induced dehydration. Participants completed the first scan in a fasted and euhydrated state. A series of 20-min periods of cycle exercise were then performed in a thermoneutral environment at 60% VO2max until participants were hypohydrated by 2% of their baseline body mass. During scanning sessions, W and a citrus flavoured CES (2% glucose and 15 mmol·L-1 sodium) were randomly presented in an event-related design; interspersed with a tasteless control/rinse solution. Imaging was obtained using a 1.5 T Philips MRI scanner. A single shot echo planar imaging sequence and a 3D high resolution T1 weighted scan were utilised. Data were analysed using SPM5. RESULTS: Both W and CES activated a variety of comparable brain areas across physiological condition, but greater activation was shown following exercise-induced dehydration in regions associated with emotion and behaviour; along with more positive ratings of drink pleasantness and perceived thirst. In directly comparing the neural responses between test solutions both before and after the exercise-dehydration protocol, significantly greater activation was shown for CES in reward-related brain areas, including the anterior cingulate cortex and caudate. Pleasantness ratings were significantly higher with oral exposure to CES than W both before and after the exercise dehydration protocol. CONCLUSIONS: Activation of brain regions associated with behavioural responses was shown following acute exercise-induced dehydration for both fluid stimuli and was coupled with an increased perceived desire to engage in ingestive behaviour. Cortical responses to CES were greater than W in regions believed to be involved in reward processing, supporting previous speculation that greater intake of CES than W in exercise studies may be partly attributed to the reward-value of a drink. Supported by a GlaxoSmithKline Research Grant. Parris BA, Kuhn G, Mizon GA, Benattayallah A, Hodgson TL (2009). Imaging the impossible: an fMRI study of impossible causal relationships in magic tricks. Neuroimage, 45(3), 1033-1039. Imaging the impossible: an fMRI study of impossible causal relationships in magic tricks. Understanding causal relationships and violations of those relationships is fundamental to learning about the world around us. Over time some of these relationships become so firmly established that they form part of an implicit belief system about what is possible and impossible in the world. Previous studies investigating the neural correlates of violations of learned relationships have focused on relationships that were task-specific and probabilistic. In contrast, the present study uses magic-trick perception as a means of investigating violations of relationships that are long-established, deterministic, and that form part of the aforementioned belief system. Compared to situations in which expected causal relationships are observed, magic trick perception recruited dorso-lateral prefrontal cortex (DLPFC) and anterior cingulate cortex (ACC), brain regions associated with the detection of conflict and the implementation of cognitive control. These activations were greater in the left hemisphere, supporting a role for this hemisphere in the interpretation of complex events. DLPFC is more greatly activated by magic tricks than by surprising events, but not more greatly activated by surprising than non surprising events, suggesting that this region plays a special role in causality processing. The results suggest a role for cognitive control regions in the left hemisphere in a neurobiology of disbelief. Tabor G, Young PG, West T, Benattayallah A (2007). Mesh construction from medical imaging for Multiphysics simulation: Heat Transfer and Fluid Flow in Complex Geometries. Engineering Applications of Computational Fluid Mechanics 1#2, 1(2), 126-136. Parris BA, Thai NJ, Benattayallah A, Summers IR, Hodgson TL (2007). The role of the lateral prefrontal cortex and anterior cingulate in stimulus-response association reversals. J Cogn Neurosci, 19(1), 13-24. The role of the lateral prefrontal cortex and anterior cingulate in stimulus-response association reversals. Many complex tasks require us to flexibly switch between behavioral rules, associations, and strategies. The prefrontal cerebral cortex is thought to be critical to the performance of such behaviors, although the relative contribution of different components of this structure and associated subcortical regions are not fully understood. We used functional magnetic resonance imaging to measure brain activity during a simple task which required repeated reversals of a rule linking a colored cue and a left/right motor response. Each trial comprised three discrete events separated by variable delay periods. A colored cue instructed which response was to be executed, followed by a go signal which told the subject to execute the response and a feedback instruction which indicated whether to "hold" or "flip" the rule linking the colored cue and response. The design allowed us to determine which brain regions were recruited by the specific demands of preparing a rule contingent motor response, executing such a response, evaluating the significance of the feedback, and reconfiguring stimulus-response (SR) associations. The results indicate that an increase in neural activity occurs within the anterior cingulate gyrus under conditions in which SR associations are labile. In contrast, lateral frontal regions are activated by unlikely/unexpected perceptual events regardless of their significance for behavior. A network of subcortical structures, including the mediodorsal nucleus of the thalamus and striatum were the only regions showing activity that was exclusively correlated with the neurocognitive demands of reversing SR associations. We conclude that lateral frontal regions act to evaluate the behavioral significance of perceptual events, whereas medial frontal-thalamic circuits are involved in monitoring and reconfiguring SR associations when necessary. Flecther-Bott KZ, Akrami M, Javadi A, Benattayallah A, Dibaj M, Wall T (2018). A Subject-specific Three-dimensional Model of the Human Hand and Wrist. 8th World Congress of Biomechanics. 8th - 12th Jul 2018. Full text. Craig K, Akrami M, Javadi A, Benattayallah A, Doyle C, Timperley AJ (2018). Investigating Human Hip Dislocation Using a Three-Dimensional Finite Element Human Hip Model. 8th World Congress of Biomechanics. 8th - 12th Jul 2018. Thienkarochanakul K, Javadi A, Akrami M, Benattayallah A (2018). Towards a three-dimensional Finite Element model of the Knee Osteoarthritis. 8th World Congress of Biomechanics. 8th - 12th Jul 2018. Full text. Charnley J, Craig K, Akrami M, Javadi A, Benattayallah A (2018). Towards investigating the implications of joint incongruity on the elbow joint using a 3D image-based finite element modelling. 8th World Congress of Biomechanics. 8th - 12th Jul 2018. Lawn W, Freeman T, Benattayallah A, Bisby J, Mitchener L, Curran V, Dodds C, Morgan C (2018). Value-Based Decision-Making of Cigarettes and Non-Drug Rewards in Dependent and Occasional Smokers: an fMRI Study. Author URL. Jones J, Adlam, A, Wills A, Benattayallah A, Milton F (2017). Working Memory Training Increases Recruitment of the Middle Frontal Gyrus in Children. Experimental Psychology Society. 4th Jul - 6th Oct 2017. Carpenter K, Wills A, Benattayallah A, Milton F (2014). An examination of the neurobiological predictions of the COVIS model of category learning. in Proceedings of the 11th Experimental Psychology Society Symposium. 1st - 1st Apr 2014. Norman L, Iles A, Lawrence N, Benattayallah A, Karl A (2014). Neural Correlates of Habitual Expressive-Suppression in Trauma-Exposed Individuals. in Proceedings of the 31st Joint Annual Meeting of the ISMRM and ESMRMB. 10th - 16th May 2014. Milton F, Butler CR, Benattayallah A, Zeman A (2012). An fMRI study of autobiographical memory deficits in transient epileptic amnesia. he 25th Annual Meeting of the BNPA. Alhussain AQ, Benattayallah A, Fulford J, Summers I (2012). Discrimination of tactile trajectories on the fingertip: an fMRI study. 29th Annual Scientific Meeting of the ESMRMB. 4th - 6th Oct 2012. Van.Rensburg KJ, Taylor A, Hodgson T, Drobes D, Benattayallah A (2011). Can Exercise Attenuate Cue-Reactivity to Smoking Images: an fMRI Study. Society for Research on Nicotine and Tobacco (SRNT). 16th - 19th Feb 2011. Benattayallah A, Bregadze N, Lavric A (2010). Effect of EEG Electrodes (32 and 64 Channels) on the fMRI Signal. ESMRM & ISMRM 18th Joint Annual Scientific Meeting. 1st - 7th May 2010. Benattayallah A, Milton F, Muhlert N, Zeman A (2010). The neural correlates of everyday recognition memory. ESMRMB & ISMRM 18th Joint Annual Meeting. 1st - 7th May 2010. Rensburg KJ, Taylor A, Hodgson T, Benattayallah A (2009). Acute exercise modulates cigarette craving and brain activation in response to smoking-related images: an fMRI study. Joint Conference of SRNT and SRNT-Europe. 27th - 30th Apr 2009. Van RKJ, Taylor A, Benattayallah A, Hodgson T (2009). Exercise Attenuates Smoking Cue-Elicited Regional Brain Activation and Self-Report Cravings. Proceedings of the 14th Annual Congress of the EUROPEAN COLLEG OF SPORT SCIENCE. 24th - 27th Jun 2009. Roser M, Fulford J, Benattayallah A (2009). INTERHEMISPHERIC INTERACTION IN SIMPLE RESPONSE TIME: a COMBINED FUNCTIONAL- AND DIFFUSION-TENSOR IMAGING STUDY. the 16th Annual Meeting of the Cognitive Neuroscience Society (CNS). 1st - 1st Mar 2009. Knapp KM, Seymour R, Fulford J, Benattayallah A, Summers IR, Welsman JR (2009). Incidental findings in low resolution visceral adipose tissue magnetic resonance imaging scans. Proceedings of the Annual Meeting of the ESMRMB. 1st - 3rd Oct 2009. Hodgson T, Parris B, Benattayallah A, Summers RI (2009). Multimodal and unimodal areas for rule based behavioural control. Cognitive Neuroscience Society Annual Meeting. 21st - 24th May 2009. Benattayallah A, Van Rensburg K J, Hodgson T, Fulford J, Taylor A (2008). The Effects of Exercise on Regional Brain Activation in Response to Smoking Cues During Temporary Abstinence from Smoking. ISMRM, 16th Annual Scientific Meeting. 3rd - 9th May 2008. Benattayallah A, Flanagan D, Krishnan B, Ball C, Fulford J, Macleod K, Summers IR, Shore A (2007). Functional Magnetic Resonance Imaging (fMRI)-A Useful Tool for the Assessment of Hypothalamus Function. Joint Annual Meeting ISMRM-ESMRMB. 19th - 25th May 2007. Krishnan B, Benattayallah A, Fulford J, Summers IR, Flanaghan DE (2007). Hypothalamic Activation following an Oral Glucose Load- Studies using Functional Magnetic Resonance Imaging (fMRI). M K. Syed1, Benattayallah A, Fulford J, Summers I (2006). Cortical Activation Associated with Tactile Movement in Attentive Subjects. ISMRM 14th Scientific Meeting & Exhibition. 6th - 12th May 2006. Kiel B, Benattayallah A, Alfke H (2005). Entwicklung Von HF-Oberflachenempfangsspulen Zur Mauseknie-untersuchung in der MRT [Development of RF Surface Coil for the Mouse knee Investigation in MRI]. Bui Xuan V, Benattayallah A, Tabor G, Young P, West T (2005). From Reality to Model in Minutes Or on the Aerodynamics of a Thanksgiving Turkey. ISB Congress - ASB 29th Annual Meeting. 1st - 1st Jan 2005. Benattayallah A, Heverhagen T, Matschl V, Alfke H, Klose K, Wagner H (2004). Multi-loop coil for intravascular MRI. ESMRMB, 21st Annual Scientific Meeting. 9th - 12th Sep 2004. Benattayallah A, Heverhagen T, Matsch M, Alfke H, Klose KJ, Wagner HJ (2003). Comparative Study of Intravascular RF Coil Designs. ESMRMB 20th Annual Scientific Meeting. 18th - 21st Sep 2003. Benattayallah A, Owers-Bradley JR, Bowtel RW (2003). RF-receiver coil for lung imaging at 0.15 Tesla. ESMRMB 20th Annual Scientific Meeting. 18th - 21st Sep 2003. Benattayallah A, Owers-Bradley JR, Fichele S, McGloin CJ, Bowtell RW, Morgan P, Moody AR (2002). Diffusion and Tagging of. Hyperpolarized 3He in the Lungs. ESMRMB 19th Annual Scientific Meeting. 22nd - 25th Aug 2002. Owers-Bradley JR, Benattayallah A, Fichele S, McGloin CJ, Bowtell RW, Morgan P, Moody AR (2002). Diffusion and Tagging of. Hyperpolarized 3He in the Lungs. ISMRM, 10th Annual Scientific Meeting. 18th - 24th May 2002. Owers-Bradley J, Benattayallah A, Fichele S, McGloin CJ, Bowtell RW, Morgan P, Moody AR (2002). Diffusion and Tagging of Hyperpolarized 3He in the Lungs. BCISMRM. Fichele S, Owers-Bradley J, Bowtell RW, McGloin C, Benattayallah A, Morgan PS, Moody A (2002). Hyperpolarized He-3 Production and Low Field Imaging (0.15T). ISMRM 10th Scientific Meeting. 18th - 24th May 2002. Fichele S, McGloin C, Benattayallah A, Manfraix S, Owers-Bradley J, Bowtell RW, Moody A, Morgan PS (2001). Hyperpolarized 3He Lung Imaging in a 0.15T Permanent Transverse Field MRI Scanner. the 11th NMR Symposium. McGloin C, Benattayallah A, Bowtell RW, Fichele S, Moody A, Morgan P, Owers-Bradley J (2001). Low Field Lung Imaging Using Hyperpolarized 3He. ISMRM 9th Scientific Meeting. 21st - 27th Apr 2001. Fichele S, McGloin C, Benattayallah A, Manfraix S, Owers-Bradley J, Bowtell RW, Moody A, Morgan P (2000). In-Vivo Hyperpolarized 3He Lung Imaging, without Compression, in 1.5T Permanent Transverse Field MRI Scanner. ESMRMB 17th Scientific Meeting. 14th - 17th Sep 2000. Fichele S, McGloin C, Benattayallah A, Manfraix S, Owers-Bradley J, Bowtell RW, Moody A, Morgan P (1999). In-Vivo Hyperpolarized 3He Lung Imaging in a 0.15T Permanent Transverse Field MRI Scanner. BCISMRM. Lavrica A, Bregadze N, Benattayallah A (2010). Examining the benefits of sparce scanning and ICA-based ERP extraction in combined EEG-fMRI. Benattayallah A (2002). Lung Imaging with Hyperpolarized He-3 Gas. Benattayallah A (1998). Filtered Beam and X-ray Fluorescence for Photon Attenuation Measurement in Biological Samples. Assessor for IST (The Institute of Science and Technology), 2016 – Present. MRI Experience, School of Physics, Exeter University, Exeter, UK, Jan 2005. Diffusion and Perfusion MRI, Philipps University Hospital, Marburg, DE, Mar 2004. Fast MRI and its Applications, Department of Diagnostic Radiology, Philipps University Hospital, Marburg, Germany, Mar 2004. Introduction to MRI, Department of Physics, University of Ouargla, Algeria, Jan 2004. Rat and mice RF Coils, Central Lab of Electronic (ZEL), Centre of Science, Jülich, Germany, July 2003. Intravascular RF Coils, Department of Nuclear Medicine, Philipps University Hospital, Marburg, Germany, May 2003. Lung Imaging using He-3 Hyperpolarised Gas, Department of Diagnostic Radiology, Philipps University Hospital, Marburg, Germany, Nov 2002.